Since it's an extension, Lightning is tightly integrated with Thunderbird, allowing it to easily perform email-related calendaring tasks. Please support our efforts by donating to the Calendar Project. Lightning is licensed under the MPL/GPL/LGPL triple license, allowing use of the files under the terms of any one of the Mozilla Public License, the GNU General Public License, or the GNU Lesser General Public License. Lightning is compatible with Thunderbird and SeaMonkey. Lightning requires slightly more processing power and memory than the equivalent version of Thunderbird. 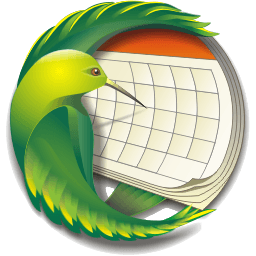 Please check the Thunderbird or Seamonkey release notes for more details. Before installing, make sure your computer meets the system requirements. Mozilla.org provides Lightning for Windows, Linux and Mac OS X in a variety of languages. Windows users must have Windows XP or later. IMPORTANT: Install the updated timezones for Windows XP or later. Information on obtaining the updated timezones can be found in Microsoft Knowledge Base article 955839. Not updating your Windows timezones will result in unreliable and erroneous display and entry of time data! Be sure to do this. Lighting 1.9.1 for Thunderbird 17 is available here. Lightning also supports older versions of Thunderbird like 3.1 or 17, please see the complete version history for details.